An early candidate for The Best Album Of 2018. There's little wonder why the Guns 'N' Roses reunion was considered one of the hottest topics of 2016, both in the world of Rock and well beyond. Aside from their importance in the eighties and early nineties Hard Rock scene, they're also notable for frequent line-up changes as well as release delays – do you remember the days when we thought our grandchildren wouldn't live to see the day when 'Chinese Democracy' came out? Apart from Axl Rose, the one to survive personnel changes within Guns 'N' Roses is keyboard player and background singer Dizzy Reed. Almost thirty years after having joined "the most dangerous band in the world", Reed finally goes solo. On an album titled 'Rock 'N' Roll Ain't Easy' he's supported by musicians from G'N'R as well as W.A.S.P, Quiet Riot, Thin Lizzy and No Doubt amongst others. First few seconds into the album and it becomes obvious that the process of making this release must have been equal – figuratively speaking – to putting all Reed's musical experiences into a blender and turning it on at high speed. A large part of 'Rock 'N' Roll Ain't Easy' is a musical equivalent of the mad motorbike ride up and down the Sunset Strip about thirty years ago; stops made at very certain locations such as The Whisky A Go-Go, The Roxy Theatre and The Troubadour. The gritty, feisty vibe to the opening track 'This Don't Look Like Vegas' makes it sound almost like an out-take from 'Appetite For Destruction', softened by the use of Boogie-esque piano, but only to some extent. Other tracks, such as the catchy and melodic 'Mystery In Exile' or soaring mid-tempo 'Fragile Water', bring back the Glam Metal aesthetics in all its eighties glory. However, there are also a couple of tracks on the album that celebrate the present rather than the past, such as 'I Celebrate', 'Understanding' and 'Crestfallen'. There are two ways to go solo, one of them is marked by experiments and explorations of the unknown. 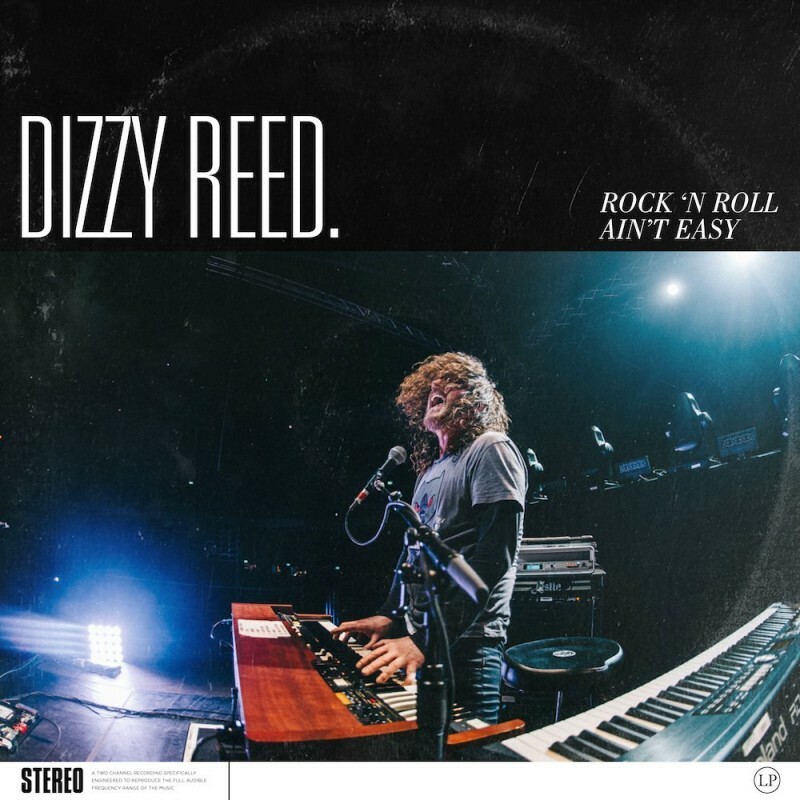 With 'Rock 'N' Roll Ain't Easy', however, Reed seems to take an easier path. Apparently, this multi-talented musician has no desire to risk removing himself drastically from his fan base. He goes solo with a splendid mixture of juicy guitar riffs, rough yet catchy melodies and tints of nostalgia instead. 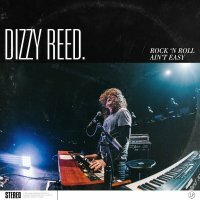 The end result of Dizzy Reed's musical blending is an early candidate for The Best Album Of 2018.